This morning I woke up before dawn and downloaded the synoptic chart while drinking my coffee. Currently there is a high pressure system over Cape Town, which (in Winter) normally means south easterly winds of about 10 – 15 knots. 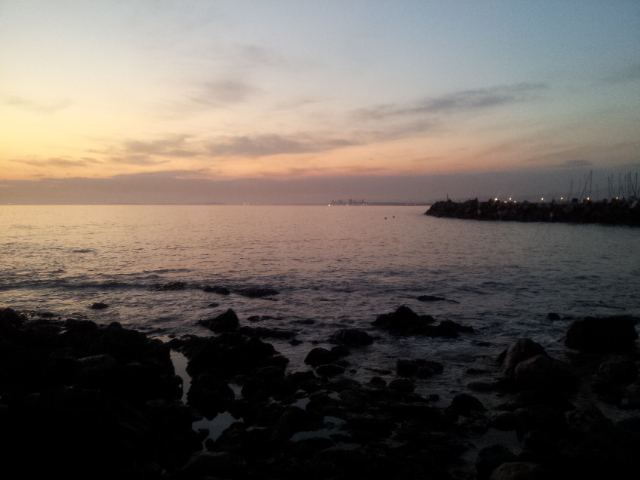 I did some work and left the house around 10:30 for Gordon’s Bay. The boat is moored about 30min’s drive from where I live and as I was driving I was glad to see that the south easterly wind predicted seems almost non-existent. Nonetheless, they say the wind is made in Gordon’s Bay and as I was driving over the mountains I could see the wind blowing hard over False Bay. I started sanding with a very coarse 80 grit paper to get the most of the varnish off, followed by 100 grit. I will finish it of with either 120 or 180 grit before I apply the new varnish. I bought International’s Perfection Plus varnish for this job. It is rather expensive, but I would like it to last as long as possible. It seems straight forward enough to apply, but the instructions are not as encouraging. I will let you know how it works out. 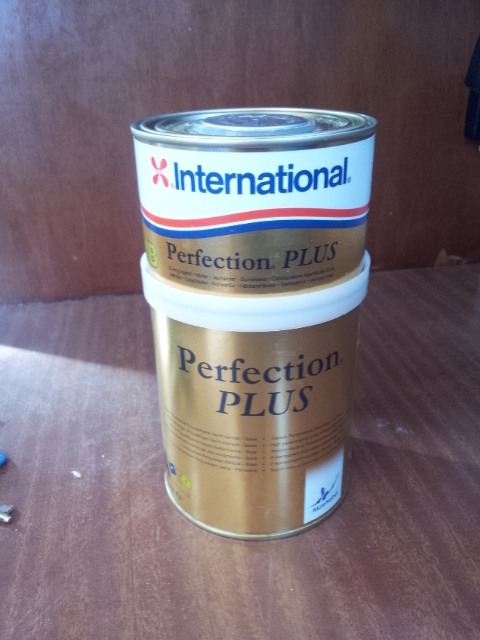 International Perfection Plus varnish for exterior brightwork. Finished sanding with 100 grit paper. I want to mention some of the problems I have encountered on board. Most of these could have been avoided by proper maintenance and thoughtful installation and repair. From the photo below it can be seen that the standing rigging (shrouds and stays) are connected to the chain-plates with one to three inter-linked shackles. 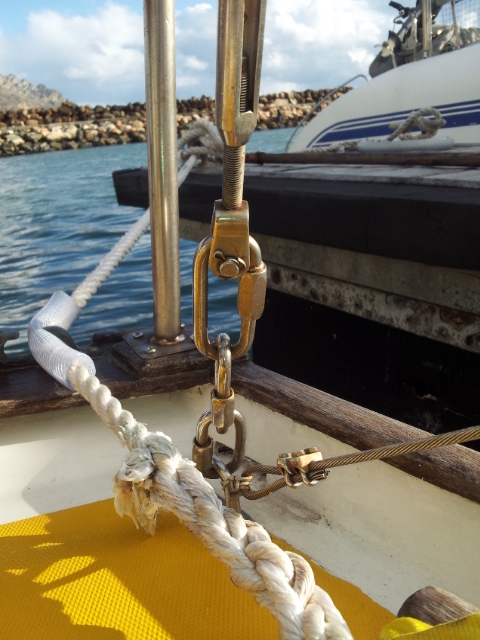 The shackles puts the structural integrity of the rigging in question, and could compromise safety. 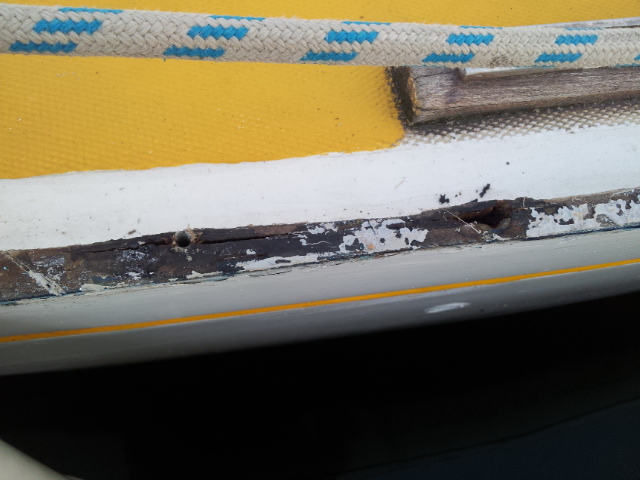 I suspect that one of the previous owners bought the rigging second-hand, and they are from a boat with a shorter mast. 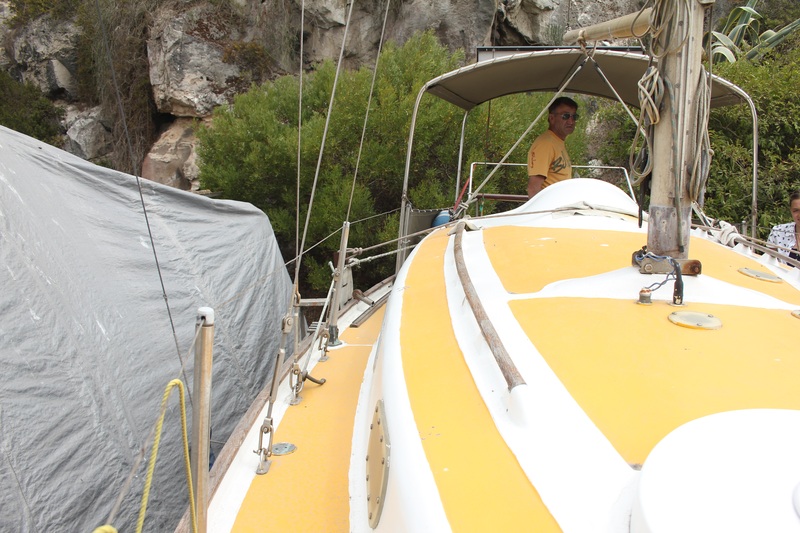 It is fortunately not such a big problem as I would have liked to replace the rigging at some stage anyway. 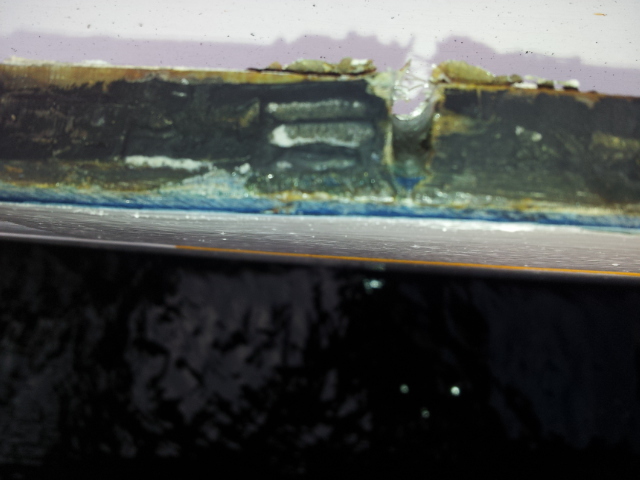 The next problem is some leakage that I have noticed between the hull and the deck joint. 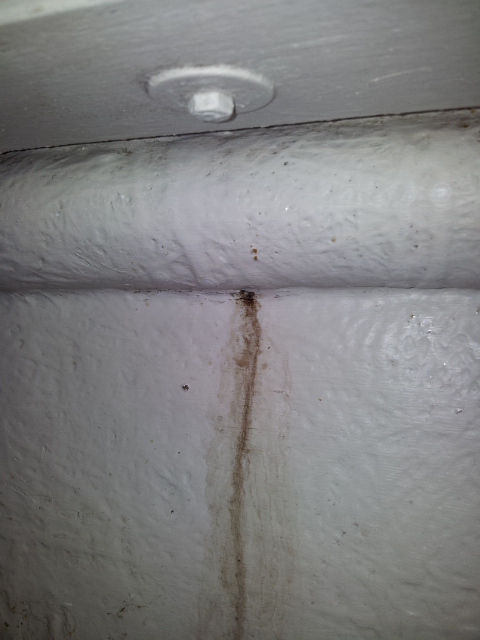 As the joint is supported by a wooden beam I am concerned that rot might occur, if not already present. The only possible cause for the leakage I have found thus far originates from the toe-rail attachment. 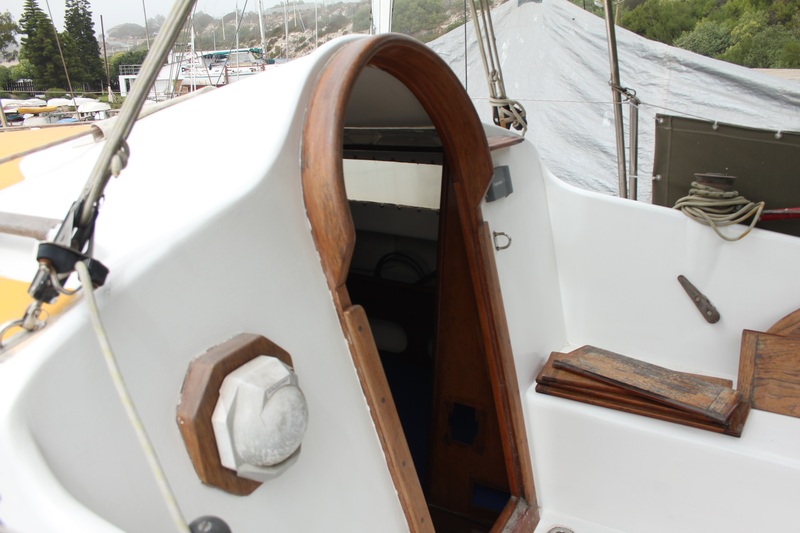 I believe the toe-rail was replaced added as it is Maranti and not Teak. 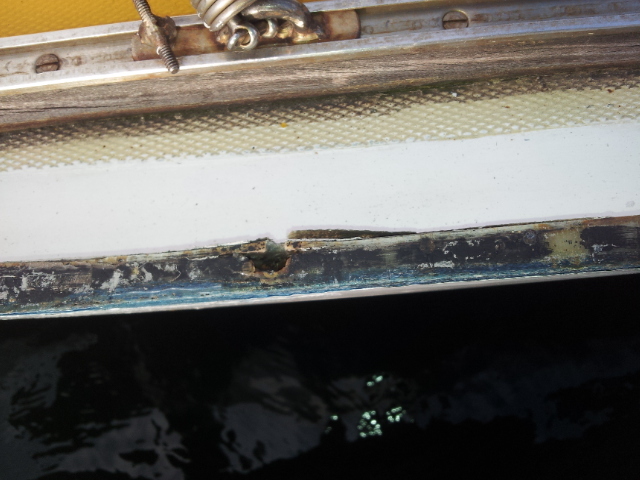 The toe-rail screws were inserted without care and damaged the fiberglass severely. Below is some photos showing the position of the screws which were used to secure the toe-rail. Some of these holes are fairly deep, however I haven’t been able to measure the exact depth. I further suspect this might be the cause of the leak because the position of the leaks inside the cabin (below) seems to correlate with the position of the screw holes. I hope to find some time to fix these as soon as possible so that I can move on to even bigger and more exciting projects such as painting the hull/deck and renaming the boat. Leaving Gordon’s Bay Yacht Club (GBYC) just before high tide. The same morning we had ran aground when we were coming in. 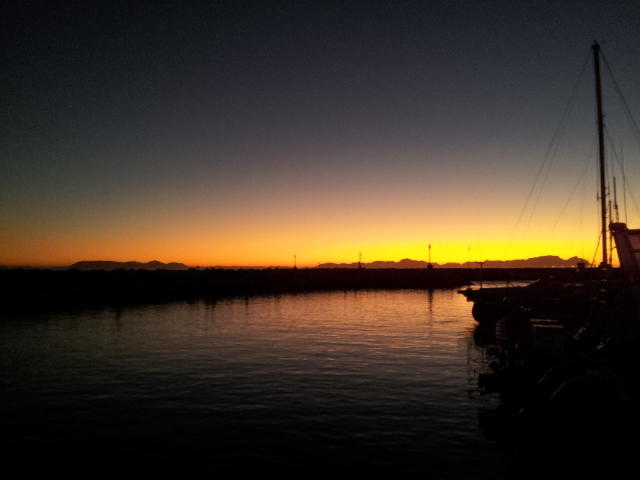 False Bay from Harbour Island, looking towards Cape Town. 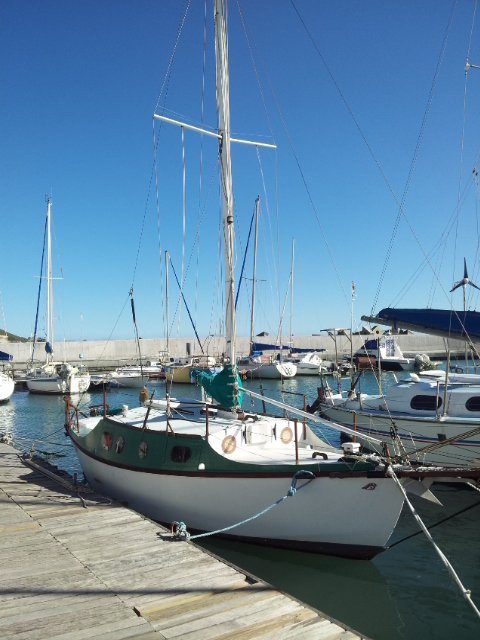 Interesting boat at Gordon’s Bay Yacht Club (GBYC), possibly a J Benford design? 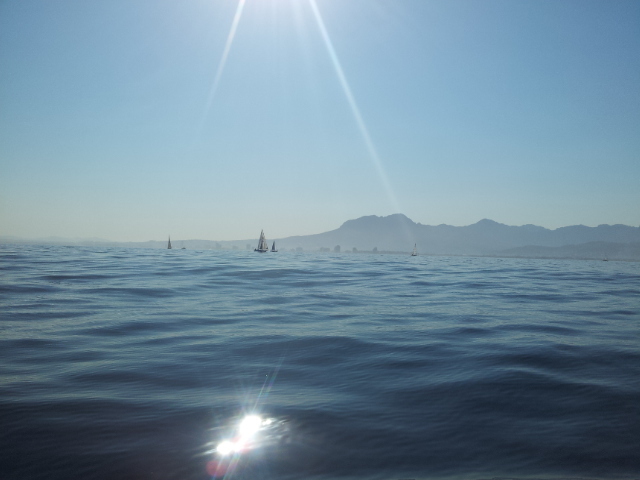 Calm waters during the Winter Series club race. The race was later abandoned. More winter motoring during a wind shift. 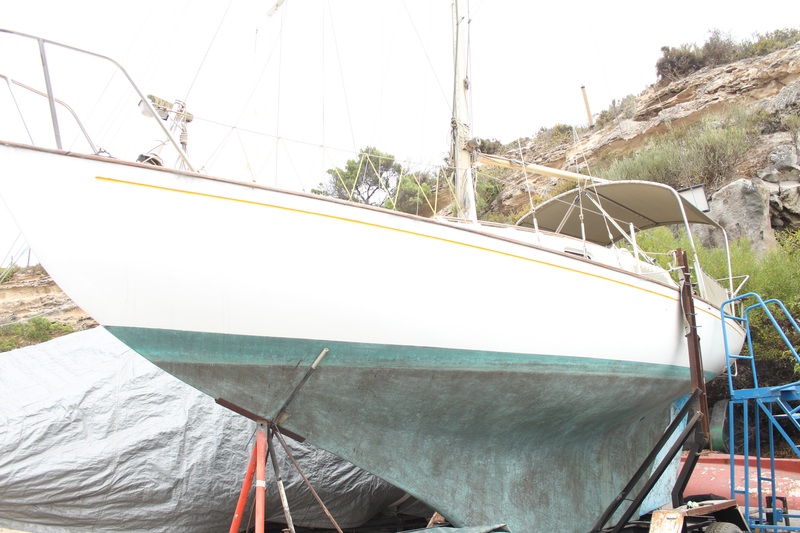 I thought it might be a good idea to post some photos of what my Contessa 26 looked when I found her in Saldanha in April 2015. Since I have decided to change her name I have removed her name from the photos, any name suggestions will be highly appreciated… Originally she was named Gilgarran, launched in 1967 in Lymington, England as hull number 16. The only information I could find on her is that she was first owned by Mr and Mrs Edward Marris. 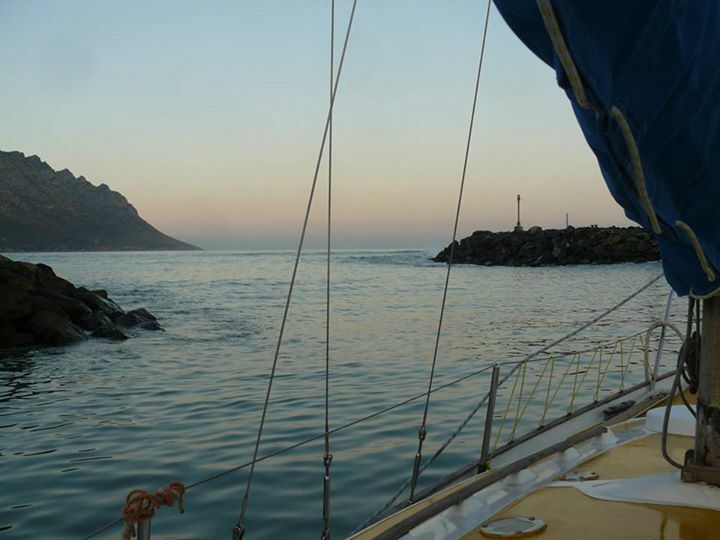 If anyone has any information on this yacht and particularly on how she got to South Africa you can contact me on the “Contact Us” page. 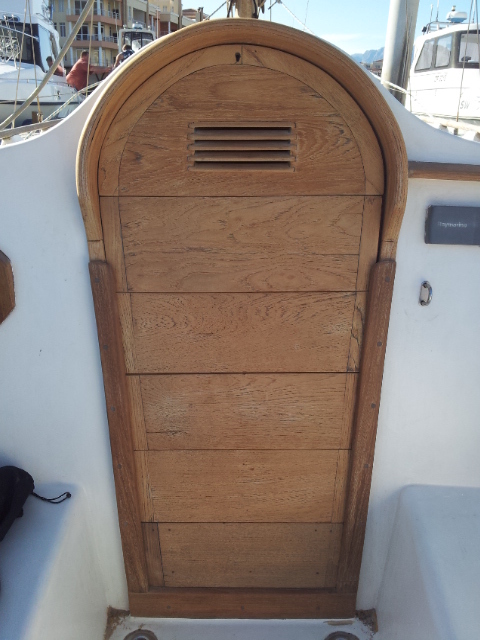 The outside of the hull and deck is in excellent condition, no osmosis or blisters of any kind. She does have a copper-epoxy type anti-foul which I quite like. 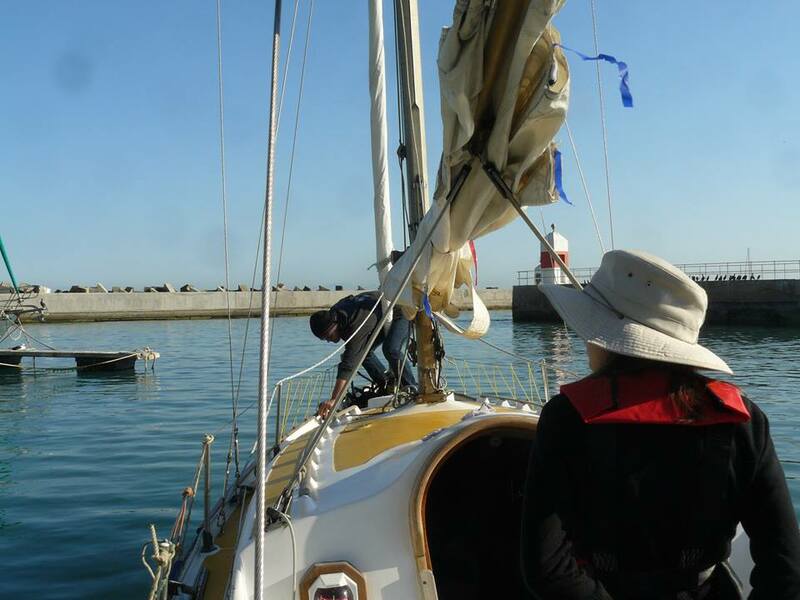 With no in-board motor installed she came with a 9.9hp Mariner outboard which proved to be excellent during our trip from Saldanha to Gordon’s Bay. The deck is painted bright yellow which is very valuable when the search and rescue team is looking for you half way across the Atlantic, but unfortunately it is not very nice to look at. So far she has proven to have excellent sea keeping abilities, my only complaint is the lack of self draining cockpits and the very low companionway. 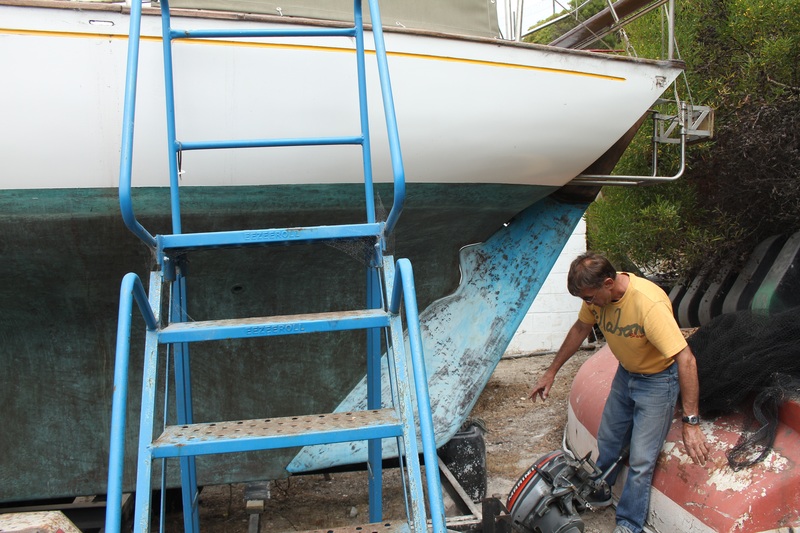 Of course with any 48 year old boat she needs a lot of work, but in general I am very pleased with her.